October 5, 2017—(Highland Park, IL) — What if you took a futuristic home built in 1962 and filled it with rare vintage furniture of the era, to create a Mid-Century Modern Dream House? 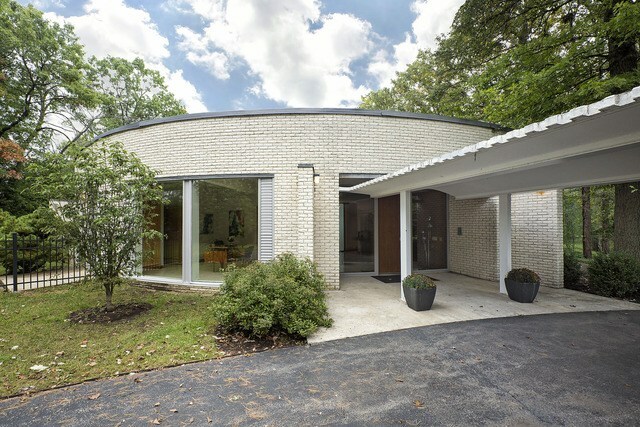 Preservation group Chicago Bauhaus and Beyond and Wright Auctions are collaborating on the first ever Mid-Century Modern Dream house in the Chicago area. The event will be a fundraiser for the restoration of another famous Keck home, the 1933 House of Tomorrow. Indiana Landmarks is planning to restore the World’s Fair house, which has been designated a National Treasure by the National Trust for Historic Preservation. Experts from Wright auction house will create a stunning mid-century interior design using a selection of rare furniture and art objects to be sold at auction on December 14. The combination of vintage collectible furniture in the unique home will create an interior that mixes elegance with a bit of “Jetsons’ futurism.” Visitors will be inspired to learn more about “Mad Men”-era design during short talks from experts throughout the day. Items chosen by Wright include many rare examples of French modernism. 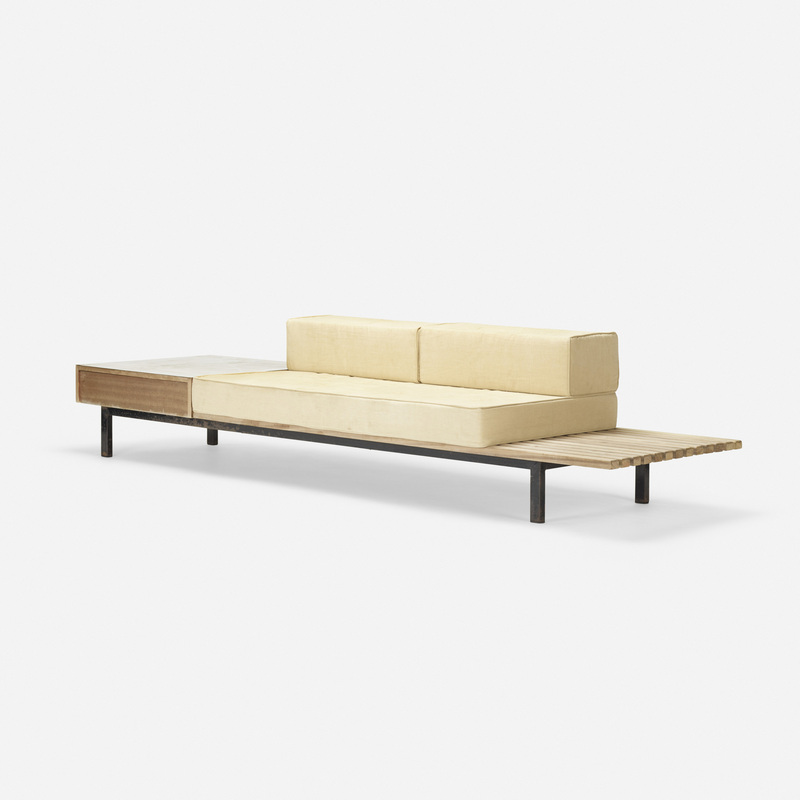 Visitors will have a chance to experience items such as a rare daybed by Charlotte Perriand, designed for Cite Consado, a 1966 ground-up Modernist city built in 1966 in Mauritania. 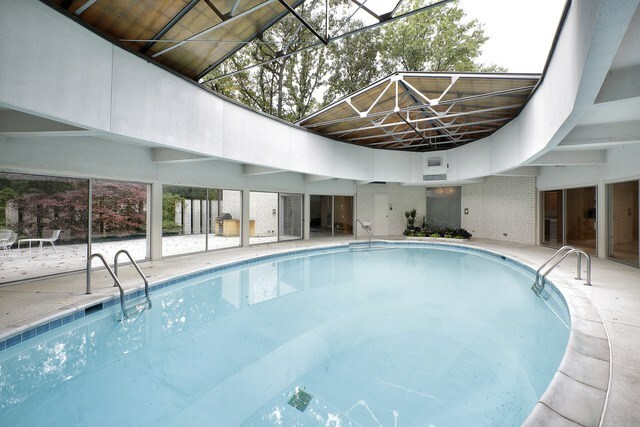 The two-day event will be held at a 1962 Keck and Keck home in Highland Park, IL, famed for its oval design, built around an indoor swimming pool with retractable roof. The home features a 70-foot-long open living room/dining room/family room that looks onto the pool. A sunken bar area, terrazzo floors, and built-in cabinets add touches of mid-century elegance. Chicago Bauhaus & Beyond is a non-profit organization which celebrates and promotes 20th century modern architecture and design. Wright is the premier auction house specializing in modern and contemporary design. Since its founding in 2000, Wright has handled more than 40,000 lots across the spectrum of 20th and 21st century design. Indiana Landmarks revitalizes communities, reconnects people to heritage, and saves meaningful places. With nine offices located throughout the state, including one in Gary, Indiana Landmarks helps people rescue endangered landmarks and restore historic neighborhoods and downtowns. For information on membership in the nonprofit organization, call 317-639-4534, 800-450-4534, or visit www.indianalandmarks.org. This is a fantastic opportunity to experience a very special home filled with all sorts of amazing modernist items, and to support a great cause at the same time. Chicago Bauhaus and Beyond’s annual holiday party & pot luck dinner, free for all current members, will be held at the Keck & Keck home Sunday evening.